It’s a difficult call as to who is the more bonkers in the retail chain here. The person who recorded this stuff (Sandra Cross), the label which pressed it (Trunk Records – who else? ), the shop for stocking it (Jumbo in Leeds) or me for buying it. But then I did spend a number of years myself commuting by Midland Mainline between Sheffield and Alfreton & Mansfield Parkway stations, so could see the appeal of recordings of the buffet car announcements right away. “Outward portions of Supersaver tickets are not valued on this service” was always one of my favourites, and the announcer who kept insisting that we would soon be “arriving in Sheffuld”. Happy days. 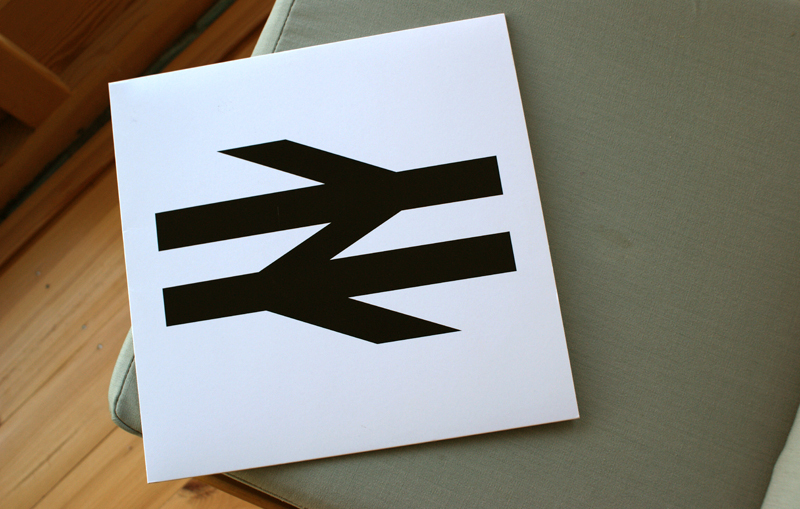 Anyhow, being an album of fairly limited appeal, the packaging budget on this limited edition pressing of Midland Mainline buffet car announcements must have been low – so it’s all in glorious black and white. The front (above) just has the famous Inter City logo, designed in 1965 by Gerry Barney of the Design Research Unit studio (and happily still in use). 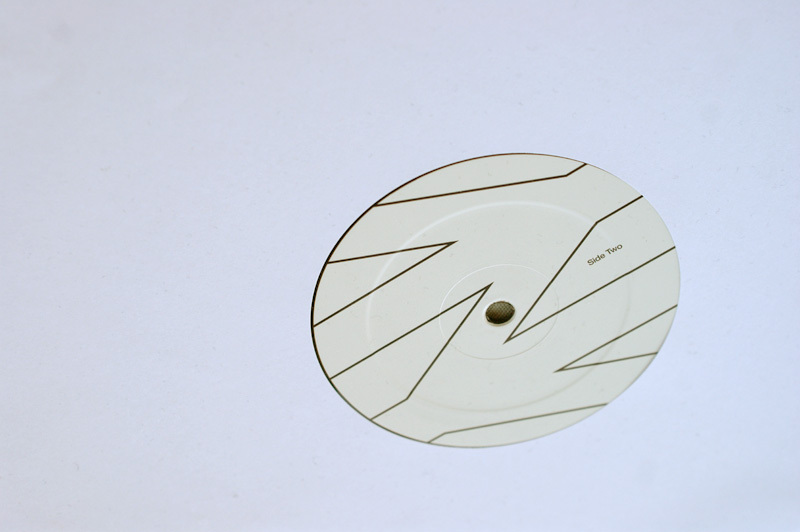 It is repeated on the labels (reversed out on one side) while the back is plain white with a few notes about the recordings. I really hope the National Railway Museum have the CD version in stock at their souvenir shop next time we visit!